Food recalls are constantly in the news headlines on a global level. Food recalls can vary across different types of food products, ranging from fresh produce and perishable foods to packaged products that are being withdrawn from supermarket shelves, warehouses, or distribution centers. These food safety scandals can be alarming, causing feelings of fear among consumers at large. 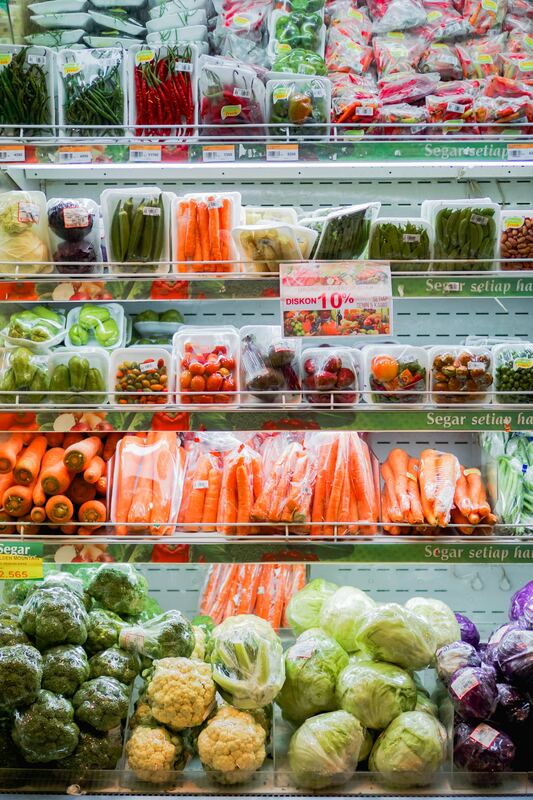 So how can consumers trust our food supply chain in this new era of food innovation? Despite the increasing safety regulations across the global food and beverage industry, especially in leading countries like the United States, the United Kingdom, Canada, and Australia, the overarching question is, why are different types of food and beverage products still being continuously recalled? Food recalls not only negatively affect consumers’ health but also contribute to massive food waste, while costing food manufacturers big bucks due to the damage caused to their brand reputation. Why is there such a rising trend in food recalls? This article provides insights into this phenomenon and describes five innovative solutions that could possibly help in reducing or preventing food recalls. Why a rising trend in recalls? Our food supply chain is becoming increasingly industrialized and globalized, which is continuously opening doors to new markets for food suppliers, startups, manufacturers, and retailers. The competition is high and fierce, to say the least. As a result, the increasing complexity in food traceability (e.g., identifying the origin of food ingredients and actual sources of raw materials) is a challenge. Misleading labeling information on food packaging, such as undeclared allergens, is another potential cause of what is driving such an increase in product recalls. Untrained personnel and not having a detailed Hazards Analysis Critical Control Point (HACCP) plan to identify any potential hazards, including allergens, at various inputs are also major culprits of product recalls. Improper and ineffective “good manufacturing practices” (GMP) and noncompliance to standards are underlying reasons for the vast majority of food recalls. When a GMP is compromised, there is a high likelihood that the food products will be microbiologically contaminated (presence of bacterial strains), physically contaminated (presence of physical matter such as pieces of plastics, metals, string, or any choking hazard), and chemically contaminated (cleaning chemicals, lubricants, etc). Another potential reason could be poor internal auditing or a lack of a robust internal auditing program. Intentional threat of food, or food terrorism, a novel term, recently introduced to describe the act of contaminating food deliberately, is another fundamental cause that potentially lead to food recalls. A typical recent example of the latter is the incident of the presence of needles in strawberries in Australia in September 2018. This is very serious! Could a Threat Assessment and Critical Control Point (TACCP) analysis or any other innovative technology be implemented and useful as a preventative measure? Food fraud is committed when food is deliberately placed on the market for financial gain with the intention of deceiving the consumer. There is a direct link of this happening, especially if there is a shortage of a particular product, such as spices, and the price of this product starts to increase. This, is thus, an indicator that the risk of food fraud will be very high for that particular product on a global level. A Vulnerability Assessment Critical Control Point (VACCP) is another tool to utilise in guiding to protecting and defending food and drink from deliberate attack. Tracing back the origins and pathways of food ingredients and products during the entire food supply chain, from raw materials to transportation, is currently a new field of research for tracking down where our food is coming from before it ends up on our plates. The following are five innovative technologies to potentially achieve this, in the hopes of reducing or avoiding the occurrence of food recalls and eventually protecting public health. What’s on the horizon for food safety software? Indeed, investing in and implementing efficient food safety software to enable organization-wide transparency actually presents a potential solution to monitor safety during food production. SafeFood 360° is a well-known food safety, quality, and compliance management software developer founded in Dublin, Ireland. While headquartered in Manhattan, it operates in Australia, Europe, and Africa. FoodLogiQ, a North Carolina–based provider of traceability, food safety, and supply chain transparency software solutions since 2006, has launched its newest product, known as Recall + Response. This innovative technology provides a platform for the following capabilities: a) workflows for withdrawals, b) end-to-end communications, c) real-time recall data, d) highly targeted actions and e) complete documentation. What’s in for the agriculture industry? A report from Food Safety magazine published in January 2018 stated that software development firm NextLOGIK, has launched food safety management software for the agriculture industry. The platform, known as CompWALK.farm, is web based, with a mobile app and an annual subscription fee. This software aims to offer cost-effective solutions to help those farmers who cannot afford external consultants or enterprise software systems manage their food safety regulations in the United States. This is an interesting solution that will educate and help hard-working farmers safeguard their produce and avoid losses, and it could well be implemented in other countries. Dr. Shah suggested that RFID tech could be another useful tool to prevent food recalls. What exactly is the RFID? In simple terms, RFID enables the identification of an object from a distance without a line of sight. The working principle of the system is composed of a tag and a reader. It has been around for decades and only became reputable recently due to its great applicability to traceability. In fact, IDTechEx predicts that the RFID market across all industries, including food and beverages processing, will reach $18.68 billion by 2026. Interestingly, the RFID technology could also be implemented into so-called smart packaging or the Internet of Things (IoT). The PreScouter team previously compiled a list of 11 companies that are currently offering commercially available smart packaging innovations. A number of these are actually employing RFID technologies to track products in real time. A few examples include sensors and printed electronics, and the companies associated with it are PragmatIC, ThinFilm and Water.IO. 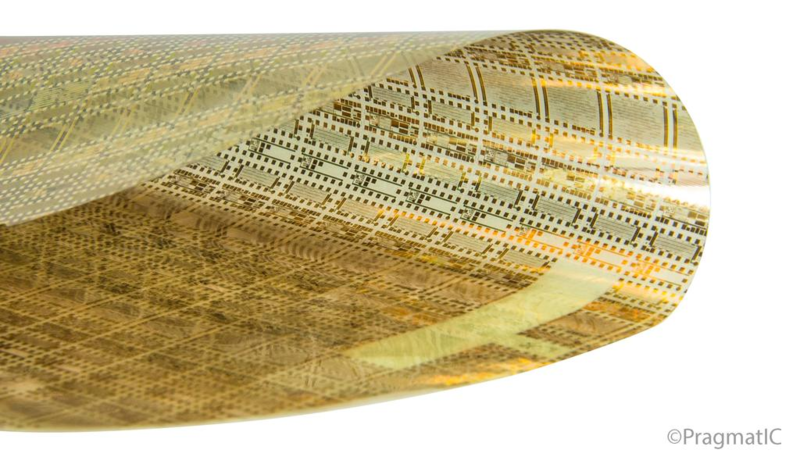 PragmatIC’s flexible integrated circuit (FlexIC). Courtesy of PragmatIC. Within the food industry, the implementation of smart packaging with RFID could help to ensure proper labelling of the products, especially in the case of allergen records, since undeclared allergens is increasingly becoming a critical cause of foods product recalls. What about having an intelligent machine complete accurate tasks that were previously completed by humans? This is, in a nutshell, what artificial intelligence (AI) is all about. An example of AI is automation or the implementation of robotics. This could be beneficial for food manufacturing processors to ensure that processing equipment is complying with regulations, such as the Food Safety Modernization Act (FSMA) in the United States. Zume’s robot pizza maker. Courtesy of Zume. However, a couple of challenges would be the regular maintenance and servicing of these machines, the cost of servicing, and the training of skilled personnel to monitor and operate the automated machinery or the robotic equipment. In this new era of innovation, blockchain is becoming increasingly involved in enhancing security and maintaining efficiency in supply chains, be it within the food industry or an IT company. It is simply a technology and not a product. It has been the talk of the town in both developed and developing countries since its creation in 2009 to support cryptocurrencies such as Bitcoin. 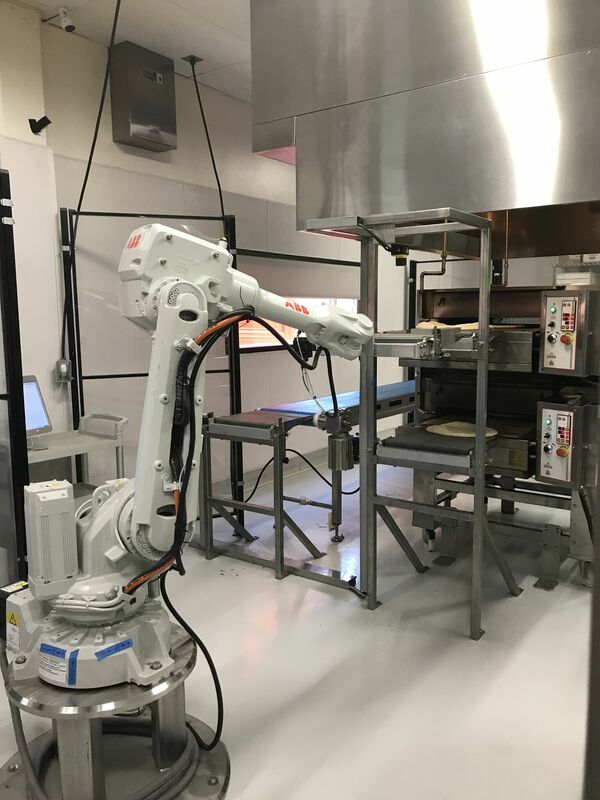 Since 2015, this complex technology is starting to find its applications in the food industry. Niall Murphy, Co-Founder and CEO of EVRYTHNG, with a vision to develop a blockchain integration hub in the near future, has teamed up with two leading packaging and supply chain companies, namely WestRock and Crown in the the food, beverage, and household goods sectors, to develop products with digital identities. Earlier this year, also a major step toward the global adoption of blockchain-enabled technology, GS1 announced the launch of a new type of global communication system dubbed Digital Link — opening the door for a new era of barcodes. Similarly, other food companies such as Unilever, WalMart, Nestle, and Tyson Foods are partnering with IBM to develop a sustainable solution to food recalls and diminishing foodborne illnesses. Actually, WalMart and IBM tested the blockchain concept with two trials of Chinese pork and Mexican mangoes. They were able to track shipment information, temperature logs, product quality, expiration dates, and more information throughout the entire supply chain. If there is a case of food poisoning or foodborne illnesses, blockchain can track down exactly where it started and where it has spread to allow proper action to be taken to recall all of the affected goods. Its role in the food industry and prevention of food recalls would therefore be mainly relevant to traceability. While blockchain could be very useful for food traceability, drawbacks exist. Besides connectivity between stakeholders and approval and regulation of the technology, it will be quite an expensive solution to the industry, as its novel and various types of infrastructures are required before it is finally set up. Will the industries be willing to spend more money on this promising technology to guarantee food safety and public health? Genome sequencing is a cutting-edge and novel technology that was brought forward by the US Food and Drug Administration (FDA) to protect consumers from foodborne illnesses globally. Foodborne illnesses are caused by the consumption of highly contaminated foods and are one of the biggest causes for food recalls. Once they find their way into the food supply system, these bacteria or pathogens are able to mutate and multiply very rapidly within the food matrix. In such cases, the FDA typically uses genome sequencing to perform basic foodborne pathogen identification during outbreaks to understand the causes and potentially help reduce the number of reported illnesses and deaths. GenomeTrakr is an open-access genomic reference database that can be used for such purposes, as described in this study, published in July 2018. Besides these five solutions, transportation pallet tracking could be another effective measure to manage food logistics in order to eliminate and/or reduce food losses. Despite all the precautionary measures taken across the food supply chain and investment in expensive quality control procedures, small incidents can still happen. But the innovative technologies discussed here actually provide solutions to root-cause analysis, such as tracking down the origin of an ingredient. They could then ascertain better management of the food supply chain, which could lead to fewer or no recalls as well avoiding food waste in the future. Let us take food safety seriously! It’s a win-win situation. These technologies will add value to the food products. Once food safety is ensured from farm to fork, consumers worldwide will be safe and healthy, contributing to the growth of the global economy. Company brands will be protected, food waste will be avoided, and the profits made because our food products are safe for consumption could be used to help the less privileged across the world. Will these developments not make the world a better place?